"India - not only a paradise for minerals"
The world's biggest diamond finds were made in India, which became famous for the jewelled treasures of its rulers. 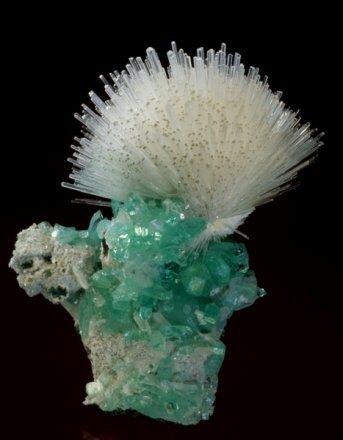 In recent years the excellent crystallised minerals found in the basalt of the Deccan Traps have been introduced to collections around the world. 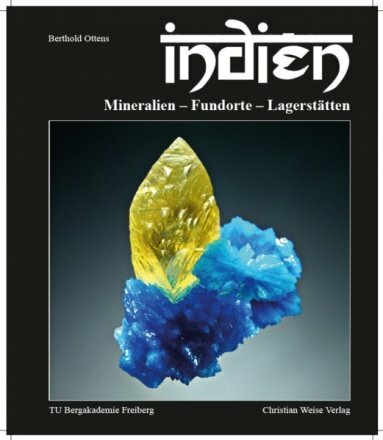 Berthold Ottens, who has visited the country more than 50 times and is known as an expert on Indian minerals has followed up his book on Chinese minerals with a new comprehensive and eagerly-awaited book on Indian minerals. 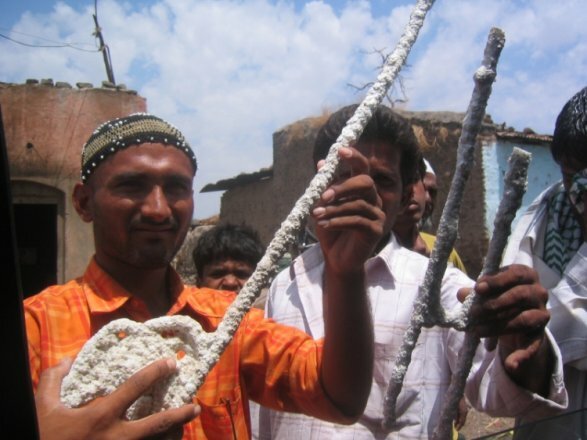 This book focuses on the druse minerals from the Deccan Traps. Although reference is made to the minerals found here, important fundamental explanations to individual minerals follow in the respective mineral chapters. The second major part of the book is devoted to precious stones. Apart from an important chapter on the history of precious stones in India and their role these days, there is a section divided into areas and alphabetically organised descriptions. For important minerals, which do not belong to the chapters on the Deccan Traps or precious stones, a separate section was created in which references are made to quartz crystals from the Himalayas and other rare minerals. Apart from the purely mineralogical chapters, there are also sections about the country and people as well as travel in India and interesting perspectives on this diverse country. The book comprises of 400 pages with more than 1 000 excellent photographs and maps. Berthold Ottens presents his second work in the Asia series on Thursday, 24th of November at the terra mineralia. "Mount St. Helens, north western USA - 30 years later"
105. Freiberg Colloquium, Lecture hall terra mineralia, Freudenstein Castle, Admission free. On 18th of May 1980, Mount St. Helens, which had been inactive for a long time, erupted in the Cascade Range in western USA (Washington State). Due to extensive evacuation of the danger zone after the first warning signs, the number of fatalities was relatively low. The uniquely documented eruption and the resultant dramatic changes to the area give very clear insight into the preeruption activity and the results of large volcanic eruptions. In 2004, Mount St. Helens erupted once again, but with less catastrophic results. During two visits, 20 and then 30 years after the event, corresponding changes to the landscape were evident. 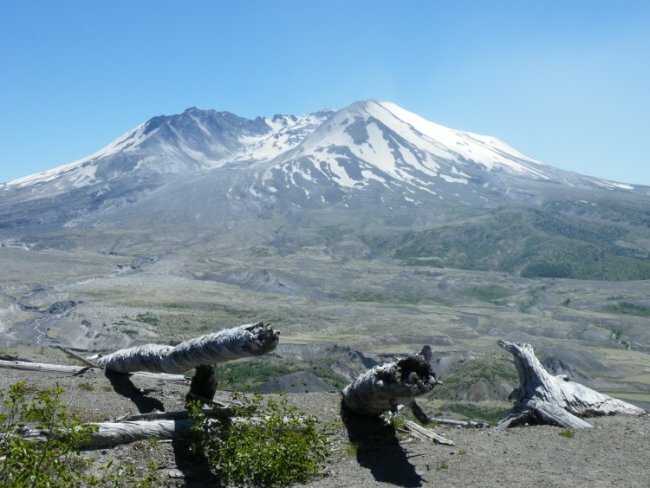 The volcano remains active, and the development of excellent tourist facilities, like "Visitor Centres", make a visit to Mount St. Helens into a very interesting and educational outing. "The Mineral Deposits of Niederschlag"
104. Freiberg Colloquium, Lecture hall terra mineralia, Freudenstein Castle, Admission free. "The Freiberg mine water system - an old-timer of the water management industry in its modern context"
103rd Freiberg Colloquium, Lecture hall terra mineralia, Freudenstein Castle, Admission free. Precursors of what since the mid-19th century were referred to as mine water supply systems date back to the 16th century. The supply of adequate quantities of water for the increasingly deeper mining area became a pressing prerequisite to lift ground water to access or transport ore. For this reason, Martin Planer was appointed as Head of Mining at Freiburg in 1557. 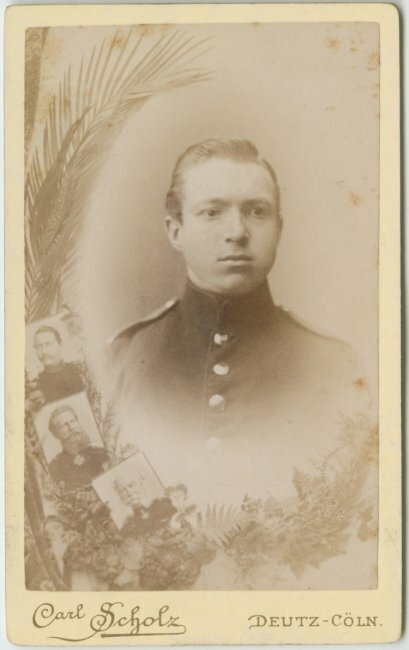 As water supply in the Freiberg region was no longer sufficient, he designed the installation of artificial ditches and dams to supplement water from higher-lying ore mountains. It was a remarkable and impressive achievement in construction and mining at the time. The extension of ditches and dams was adequate until the 19th century, when, in 1851, the systems were merged along with other mining facilities and were consolidated into the Freiberg district. Rico Werzner, plant engineer for operational dams in the Freiberg Mulde/Zschopau region, gives some insight into the eventful history of these extensive water systems. He reports on usage after the suspension of mining and on the establishment of the first underground hydroelectric plant in 1914. He gives an overview to current maintenance work to preserve this unique technical monument of mining and water management for the Ore Mountain Mining Region (Montanregion Erzgebirge) and its uses for current drinking and industrial water supply. "Johann Sebastian Bach - Share holder of a silver mine"
"One mining share, called Ursula Erbstolln, about the value of Klein Voigtsberg... 60 thalers" - this is how the fact that Johann Sebastian Bach - the great composer and Thomas-kantor - held a small share in the Ursula Erbstollen mine, near Klein Voigtsberg worth 60 thalers, was formulated in the estate inventory following his death on 27th of July 1750. Up until now, there has been no further research into this topic, as there was no known additional documentation to that which was found Eberhard Spree, with the help of geologist Jens Kugler, found 38 mine registers in the Bergarchiv Freiberg, in which Johann Sebastian Bach was among the 44 names mentioned. These documents will help in drawing a number of conclusions about Bach's involvement in Saxon silver mining. They are a very valuable complement to the few Bach documents that give an insight into his activities outside of music and family. While the question remains over whether Johann Sebastian Bach ever stayed in Freiberg, the lecture will clearly demonstrate the special relationship he had with this area. 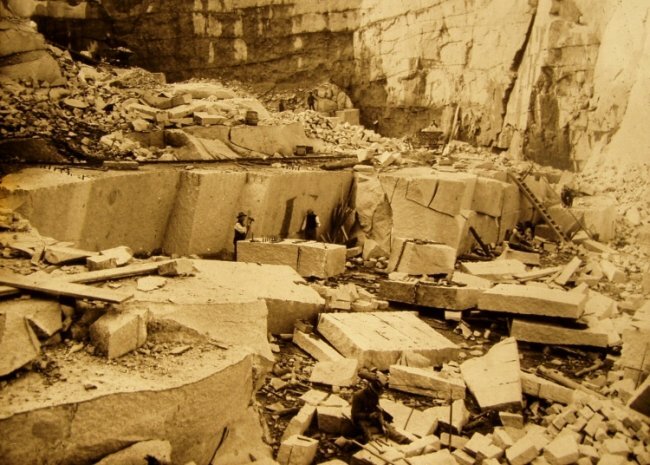 "100 years of stone extraction in sound and pictures"
102 Freiberg Colloquium, Please note! Change of venue: Mineralogy Lecture Hall, TU Bergakademie, Brennhausgasse 14, 1st floor, Admission free. There are many ways to approach the topic of stone: You can look at it scientifically; from an arts and culture perspective; through construction history and use; or on the basis of price and processing capability. Depending on the approach one takes, different “corners and edges“ are highlighted, different knowledge is communicated and various views and opinions are expressed. Each approach has got its justification and is necessary at its particular time and with its particular audience. Often, it is the result of the rock itself that stands in the foreground. Extraction and processing only offers a few excursions to interested visitors, or clues that lead to abandoned quarries in the region. The lecture is dedicated to this topic. By looking at extraction methods used for granite and sandstone, we will take a look at the heavy work of a miner at the beginning of the 20th century and the large number of occupational categories in the industry, which will illustrate how today’s cultural landscape has been shaped “by hand” - in a literal sense of the word. Historical documents and film clips will speak for themselves in creating an original impression of local conditions. "Prospects for Saxon mining in context of the global economy"
101 Freiberger Colloqium, Please note! Different venue: Senatssaal of the TU Bergakademie Freiberg, Akademiestraße 6, Admission free. 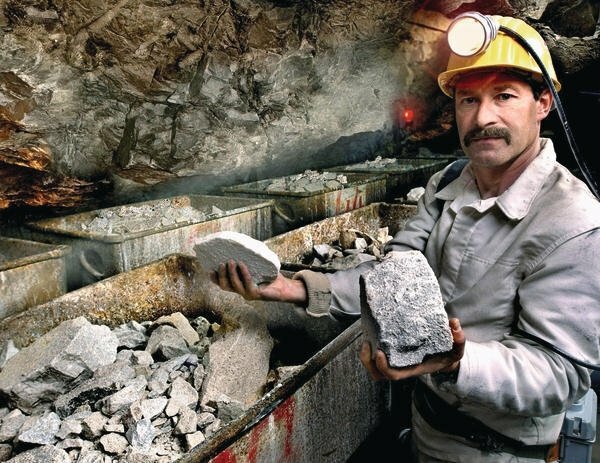 "Everything comes from the mine" - a saying that has characterised the lives of Erzgebirge (Ore Mountain) people for years. Mining has provided work and food on the table for people residing here since the 12th century. Mining and raw materials are enjoying a strong international connection and serve several public and private interests today. 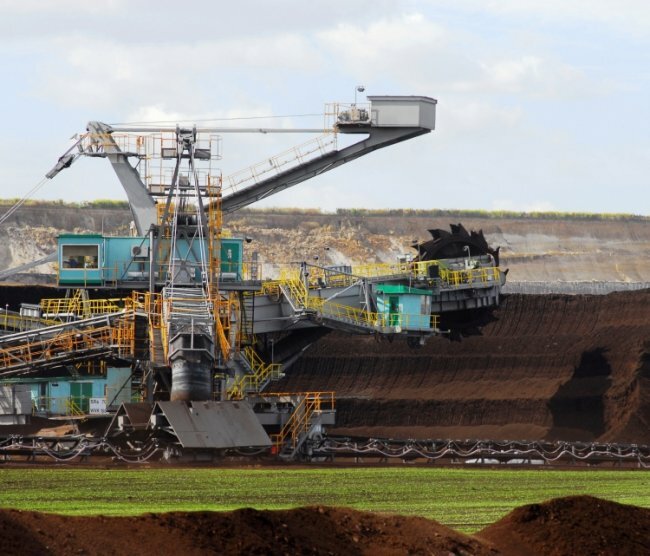 Mining in Saxony therefore fulfils a reliable, and in the public's eye, a naturally important function. Saxon lignite has for some time been the most important non-subsidised domestic energy commodity. Consequently, there are now attempts at reducing the environmental impact of emissions. Some 400 extraction and quarrying companies supply us with raw materials for construction - without these there would be no buildings or road infrastructure. The exploration and extraction of ore- and spar reserves have started a new chapter of Saxon mining. Science and industry here have the opportunity to develop entire value chains, from the small polymetallic deposits extracted through to the manufacturing of marketable products. The knowledge of these value chains is becoming increasingly important on a global scale, as productive reserves continue to decline. "A view from space - Satellite earth observations for environment and safety"
100 Freiberger Colloquium, Please note: Different venue - Alte Mensa, Petersstraße 5, Admission free. New internet portals such as Google Earth have turned the view from space into common property. 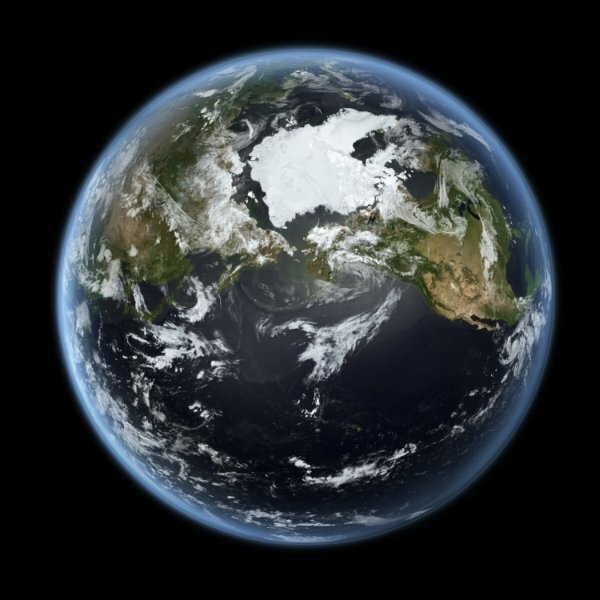 In addition to providing a visual presentation of the surface of the Earth, satellite observations offer a wide range of applications for observing changes in climate, environment and land use, as well as ensuring the accurate and rapid mapping of natural disasters and events that threaten people's safety. There are also several physical methods for measuring and imaging the vast electromagnetic spectrum - from radar waves to visible light. The German Aerospace Center's (DLR) satellite operations and the international projects, in which the DLR uses the space data collected, clearly illustrate the potential of this type of space technology. These technologies and applications are part of the European Strategy for Space and the GMES programme, which provides earth observation satellites for the benefit of the European citizen and for the protection of our environment. "Alexander von Humboldt as a collector"
99th Freiberg colloquium, Lecture Hall terra mineralia, Freudenstein Castle, Admission free. Hardly any other scientist’s life has been as well-documented as that of Alexander von Humboldt (1769–1859). Even during his lifetime he was considered a legend and the leader of the South American independence movement. Simón Bolívar (1783–1830) said about him: “Alexander von Humboldt did more for America than all the conquerors, he is the real discoverer of America.“ Despite the comprehensive study of Humboldt one aspect has so far been paid little attention to: his mineralogical collections. In “Cosmos“ he made the following remark about the importance of collecting, “Since travellers are always only bearers of partial knowledge of their time and their observations lack many of the leading ideas, i.e. distinguishing features, which are the fruits of progressing knowledge, the collected and geographically organised material hold a long lasting value almost on its own.“ On the basis of the existing collections of Alexander von Humboldt in the Museum für Naturkunde Berlin, the story of his life is told starting with his years of study in Freiberg, over his long journeys to South America and Russia to the last years of his life in Berlin. "In the face of disaster. The retractor Moritz Wilhelm and the Disaster at the Radbod Coal Mine in Hamm in the year 1908"
98th Freiberg colloquium, Lecture Hall terra mineralia, Freudenstein Castle, Admission free. On the night of 12th of November 1908 a Schlagwetterexplosion in the coal mine Radbod near Hamm caused 350 deaths. 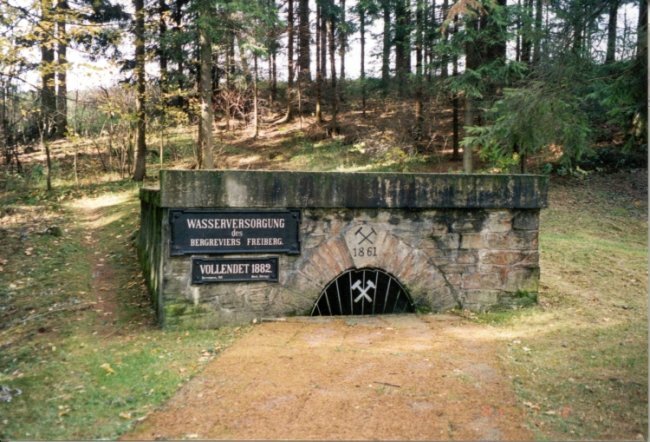 The subsequent mine fires spread through the entire underground operation and were only brought under control after the whole mine was flooded with water.The Royal Mining Surveyor, Moritz Wilhelm, made notes of his findings about the causes of the catastrophe and added drawings of the dead that were found buried in the coal mine during the cleaning and rescue work which happened in the following year. Today these private records represent a unique source of information about the most consequential disaster in the coal mining industry up to that point. Olaf Schmidt-Rutsch and Ingrid Telsemayer have initially published the reports and drawings, one hundred years after the disaster, in a printed version and interactive CD. 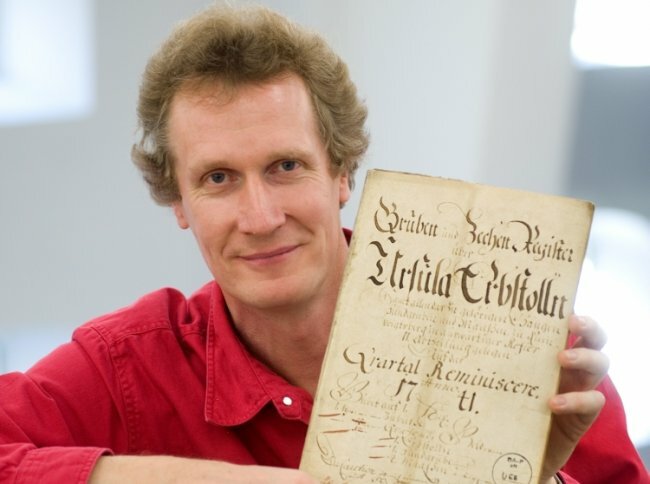 In his lecture, Olaf Schmidt- Rutsch, Senior Researcher at the LWL Industry Museum in Dortmund, will present the causes and order of events of the disaster and in particular, respond to the Moritz Wilhelm, Royal Mining Surveyor, reports as well as to the published sources. "Gotthard Base Tunnel - a construction-engineering challenge"
New pioneers: Chief supervisor of the world's latest highspeed propulsion tunnel visits the Freiberg Colloquium. On the 15th of October, the tube for the longest rail tunnel in the Gotthard Base Tunnel, some 2,500 metres under the Vatgira Peak of the Gotthard massif in Switzerland, was completed. Jürgen Schellig, from Grünhainichen in the Ore Mountains and a graduate from the TU Bergakademie Freiberg, was involved in this superb feat of mining technology. On the 13th and 14th of January, at 7.30 pm he will be speaking at the 97th Freiberg Congress at the Freudenstein Castle. As site manager of propulsion, Schellig was, among other things, responsible for the preliminary geological tests for the world's most modern double-tube high-speed tunnel. "The Gotthard will be the longest rail tunnel in the world. We're building a tunnel at great depths under extreme geological conditions, so being a part of that is a great challenge. Of course, the chance to export some Ore Mountain traditions are also a reason to feel proud", says Schellig. He has been working on the Gotthard tunnel since 2004 for Pöyry Infra AG, a Finnish engineering company. In his January talk, which will be held in the lecture hall of Freudenstein Castle, he will speak about the challenges of drilling tunnels and about the Sedrun construction section. Schellig completed his degree in 1976 at the Geotechnique/Mining Department, specialising in deep drilling technology. Originally from Karl-Marx-Stadt, he first worked at Schachtbau Nordhausen and then for Wismut AG in Aue until the Berlin wall came down. From 1990 to 2004 he was employed as authorised signatory in the mining department of the American oilfield service provider and deep drilling equipment supplier Baker Hughes. During his time at the company he worked on the biggest iron ore mine in the world in the Swedish city of Kiruna, among other things. "In my opinion, the education I received in Freiburg was decisive for my professional success, starting with my time at Wismut, then working for Baker Hughes, and now my current involvement in the Gotthard tunnel", explains Schellig. "The fundamental benefit of a degree from the TU Bergakademie is its practical nature. Then there are the university's traditions: with miners all over the world, you really get to meet an extraordinary set of people." 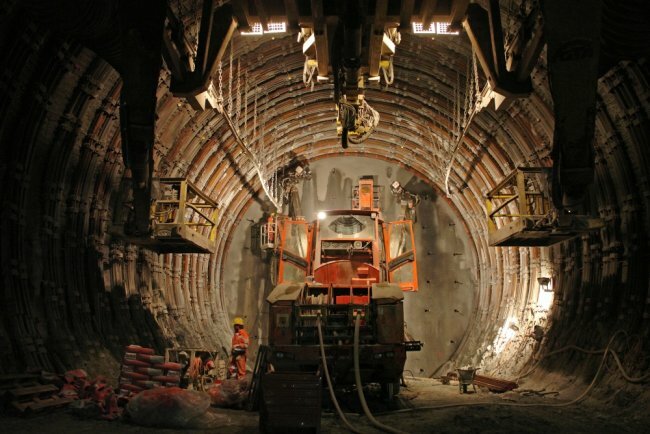 Completion of the second tube of the Gotthard tunnel is planned for April, when the two drifts of the second tunnel are expected to meet. The longest rail tunnel in the world will be inaugurated in 2017 - and a graduate from Freiberg will be there.